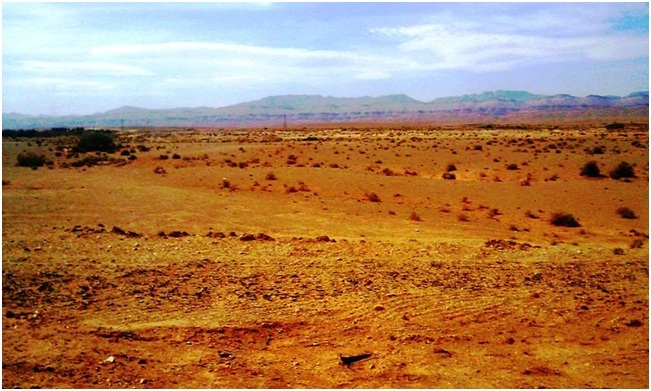 Identify the key processes that happen in deserts and determine how the surface of a desert is formed. 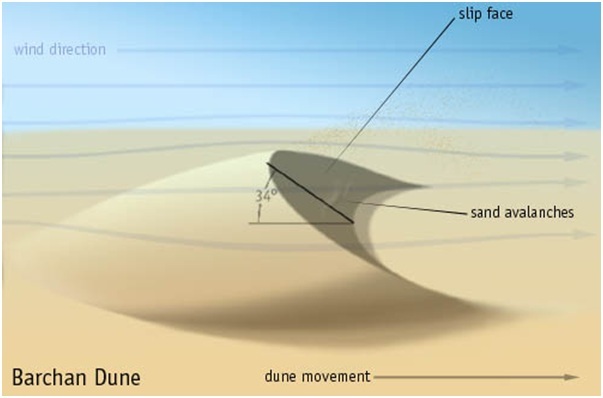 The types of dunes, how they form, and their corresponding descriptions. Background of different processes that are seen in bodies of water in the desert. 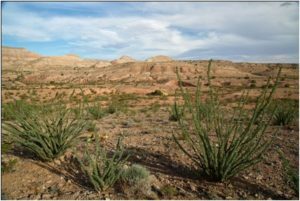 There are several underlying causes for the formation of deserts. One of the chief causes is their proximity to mountains. When rainfall only occurs on one side of a mountain and the opposite side does not receive any rainfall, a dry area is created. In this situation, in conjunction with other processes you will learn about in this module, over time, a desert forms. 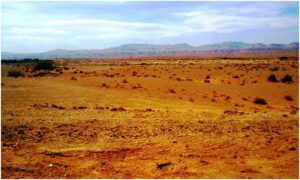 There are different processes that occur in deserts and their specific functions ensure that deserts maintain their characteristics. Most are known as Aerolian processes, as wind is the main instrument for the processes to begin. 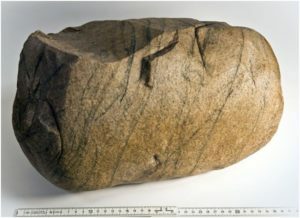 Abrasion – a process that involves physical weathering. The grating of rocks creates friction and produces particles that can be put in motion by air, water, or erosion. Ventifacts – also called wind-faceted stones, they are formed through abrasion and are buffed by sand that is blown by wind or ice crystals. You will frequently find this process occurring in environments that are completely arid or dry. 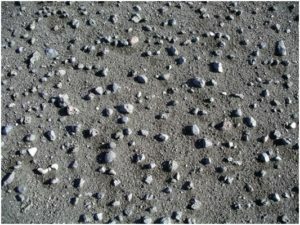 Desert Varnish – occurs when rocks have prolonged exposure to chemical weathering which causes rocks to shatter. As a result, those rocks turn into a patina of iron and manganese oxide. 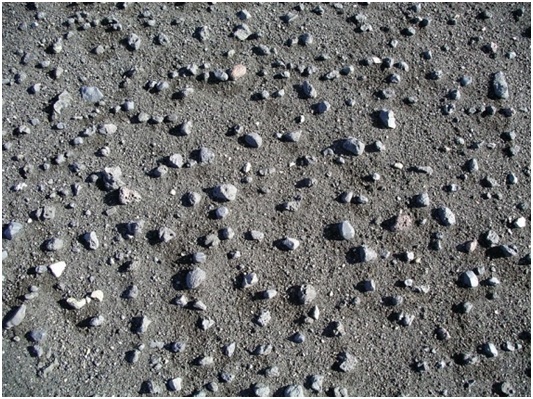 Desert pavement – the process of removing fine material from a region. This common process involves the removal of sand, which has a fine-grained texture, from a system that occurs in the desert. Exfoliation – a process wherein certain cracks develop parallel to the surface of the land. It is the result of erosion. Barchan dune: this type of dune can be distinguished because of its crescent-shaped appearance that looks like a horn. 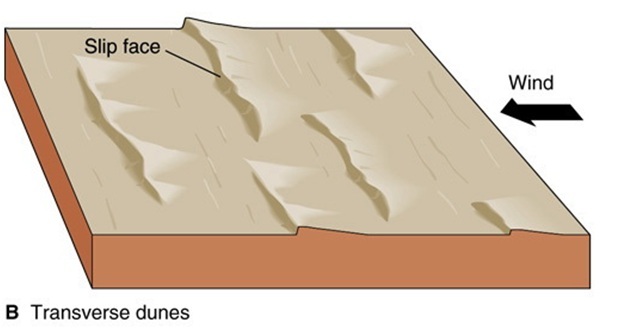 Longitudinal dune: this type of dune has an elongated parallel appearance. It follows the direction of the wind. Transverse dune: this type of dune is very aesthetically pleasing because it is active and moves depending on the behaviour of the wind. 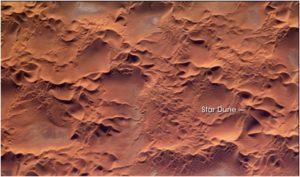 Star dune: this type of dune has a slight resemblance to the shape of a star and is created when the wind blows in multiple directions toward a single place. Coppice dune: this type of dune is fairly static because of the plants that grow around the area. 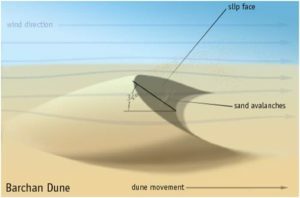 Parabolic dunes: almost the same as a barchan dune, however the direction of it is the opposite as parabolic dunes point upward. 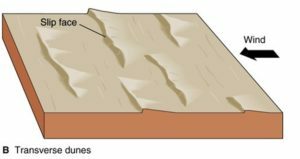 Deflation – wind erosion occurs because the loose and grained particles are further removed from the surface of the desert. Attrition – another form of erosion that occurs when the bed has eroded rocks that are moved downward directly to the riverbed. The impact of this on the grains causes them to break down into smaller pieces. Accretion – a process where sediments and other objects are added to a landmass. Encroachment – a process in which sand particles are blown by the wind and gather on the coast of either cultivated or uncultivated land. Because of this, when sand particles are already dense, it can bury villages, roads, vegetation, and other aspects of civilization in an area. Alluvial fans – the accumulation of remains at the bottom of a mountain range in a very dry environment forming deposits of sediment that resemble the shape of a cone. Bajadas – a group of alluvial fans that can be found in the mountain front. It is also created from the formation of sediments surrounded by a stream at the bottom of the mountain. 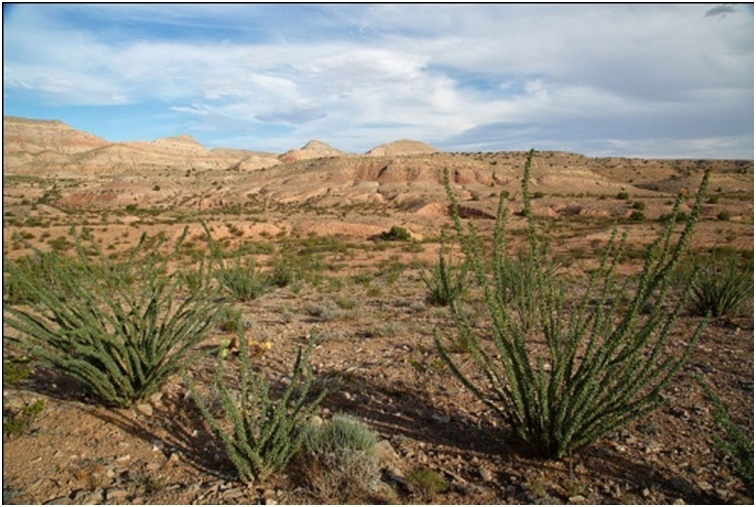 Playas – the lowest area in an undrained desert basin in which plants cannot grow because of its arid characteristic. Lakes form during the rainy season, underneath which is a composition of clay, sand, and salt. Ephemeral streams – a small body of water in a desert which exists for a short period of time only. It dries out easily in a dry season making it only a temporary source of water. Endoreic basins – a type of small body of water that can be found in the desert. It is limited to one area and does not connect to other bodies of water, although the water source comes from the outside of the desert. Exogenous rivers – this body of water can be found near deserts but outside its premises. It is a good source of water which connects to larger bodies of water. The Nile River is an example. To conclude, there are lots of amazing things that we can find in the desert. We have learned that deserts are not just a landform composed of fine-grained sand and extremely hot weather. Rather, there are a lot of interesting formations in deserts, like sand dunes and bodies of water, and there are also unique processes that help deserts form.